The U.S. Department of Energy has demonstrated a 20,000 watt (20KW) wireless car-charging system that offers three times the efficiency of today's plug-in systems for electric vehicles (EVs). And all you have to do is park your vehicle on top of it. The U.S. Department of Energy has demonstrated a 20,000 watt (20KW) wireless car-charging system that offers three times the efficiency of today's plug-in systems for electric vehicles. The research is the first step in creating a 50KW wireless charging system that may someday allow roadways to charge vehicles while they are being driven. 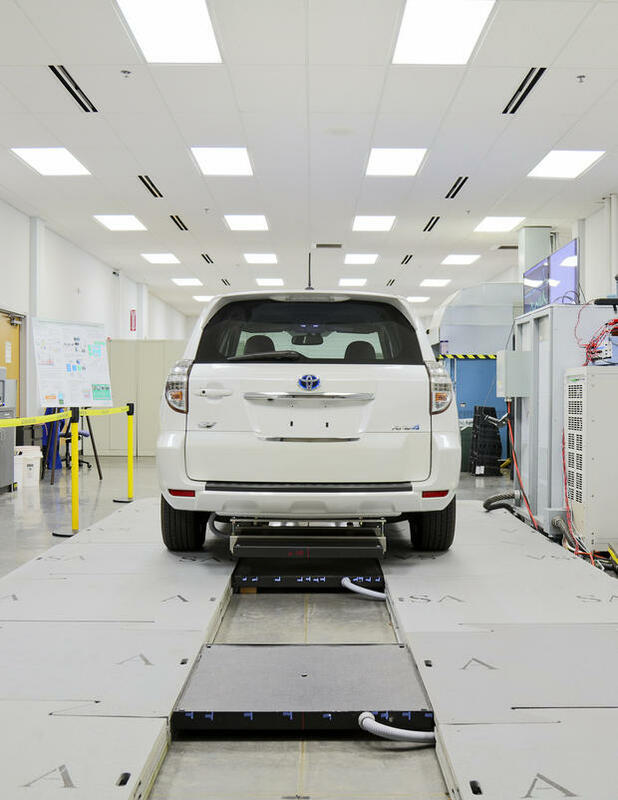 The DOE's Oak Ridge National Laboratory (ORNL) in Tennessee demonstrated the new system in partnership with Toyota, Cisco Systems, Evatran and the Clemson University International Center for Automotive Research. ORNL said the 20KW wireless charging system for passenger cars is the world's highest power system. It was developed in less than three years using a "unique architecture that included an ORNL-built inverter, isolation transformer, vehicle-side electronics and coupling technologies." For the demonstration, researchers integrated the single-converter system into an electric Toyota RAV4 equipped with an additional 10KW-hour battery. Toyota also supplied a Scion and a plug-in Prius for the tests. "Twenty kilowatts is the highest power that we see in a passenger vehicle integrated right now," said Omer Onar, a lead researcher with the ORNL's Electrical & Electronic Systems Research Division. Researchers at the Oak Ridge National Laboratory demonstrate how wireless charging for an electric vehicle works. The ORNL researchers are already looking ahead to their next target of 50KW wireless charging, which would match the power levels of commercially available plug-in quick chargers, they said. Providing the same speed with the convenience of wireless charging could increase consumer acceptance of electric vehicles and is considered a key enabler for hands-free, autonomous vehicles, ORNL said in a statement. Higher power levels are also essential for running larger vehicles, such as trucks and buses. "Wireless power transfer is a paradigm shift in electric vehicle charging that offers the consumer an autonomous, safe, efficient and convenient option to plug-in charging," said David Smith, vehicle systems program manager for the ORNL. "The technology demonstrated today is a stepping stone toward electrified roadways where vehicles could charge on the go." Evatran, a wireless charging technology company that assisted in the research, today sells a Plugless Level 2 EV Charging System that has an output of 3.3KW, enough to charge a Nissan Leaf EV. Evatran is taking reservations on a 3.6KW system for the second-generation Chevrolet Volt (2016, 2017) and a 7.2KW system for the Tesla Model S, according to Steve Cummings, senior manager of brand and marketing strategy at Evatran. The DOE researchers claim their wireless charging system has achieved 95% efficiency, meaning only 5% of the electricity is lost from the source to the car's lithium ion battery system; it is typical, even for plug-in systems, to lose as much power in the charging process. "The technology is highly efficient. It's actually very close to the conventional onboard charging efficiencies. So we're not losing or wasting any energy," Onar said. Meanwhile, Watertown, Mass.-based WiTricity has demonstrated its own wireless charging system capable of transmitting 11KW of power to an EV. "As much power as you can draw from your home, we're able to deliver wirelessly and more efficiently than even plugging the car in," said WiTricity CEO Alex Gruzen. WiTricity has licensed its wireless charging technology to Dell, which is developing its own wireless-charging pad for laptops. 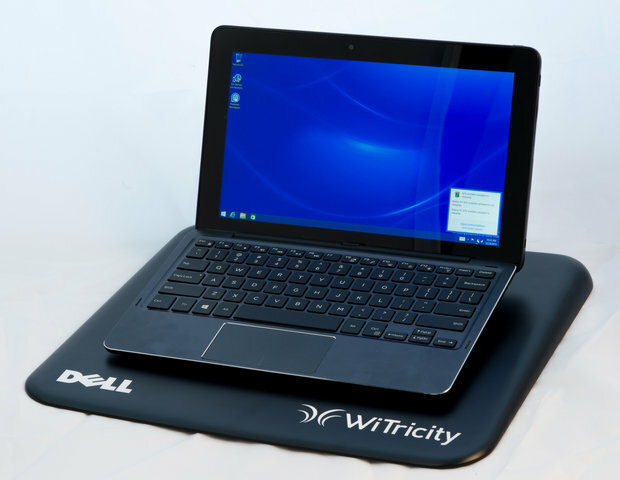 WiTricity is also licensing to laptop makers, such as Dell, wireless-charging mats that can supply 30 watts of power. "You just drop your notebook on your desk and you're charging," Gruzen said. "What's unique about our technology is our goal to eliminate the cord but not introduce new compromises such as the speed of charging." 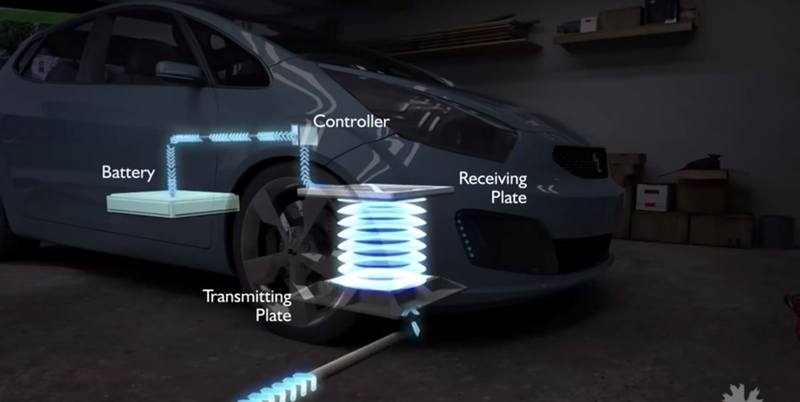 The wireless-charging technology from WiTricity adheres to the Rezence specification, which was developed by the Alliance for Wireless Power (A4WP). The specification has been adopted by some of the leading mobile chip makers, including Intel, as well as mobile phone manufacturers and other key industry players. WiTricity's main competitors are companies such as Duracell, with its Powermat technology, as well as products that carry the Wireless Power Consortium's Qi certification. WiTricity has also built its own wireless power transmission IC chip, which is manufactured by a third-party fabrication plant. Gruzen sees a day when wireless charging will not only be more convenient but necessary. For example, the adoption of autonomous vehicles will require wireless charging for EVs, according to Gruzen. "That is a space where the whole market is going to come our way. When you have a Lift or an Uber array of autonomous vehicles driving around ... there's nobody to plug them in," Gruzen said. "Even Tesla, that has touted this summon features that allows a car to park in or leave a garage, well, there's no one there to plug it in."